Have you ever wanted to go from being a “nobody” to being a “somebody” in a niche market? Listen as the Disney expert, Jeff Barnes shares her wisdom on how to become a “somebody” in a niche market. 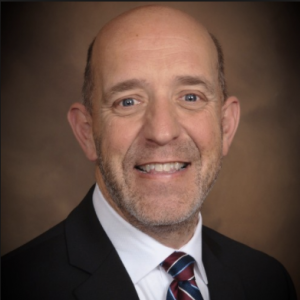 Jeff Barnes is an author, professional keynote speaker, high education administrator, university professor, and leadership success coach. He’s the Dean of Student Success at California Baptist University and teaches the only accredited college course on the history of Disneyland. 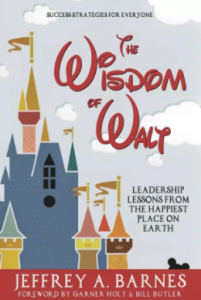 He’s the author of the best-selling book, The Wisdom of Walt, Leadership Lessons from the Happiest Place on Earth, which was published by Aviva Publishing. 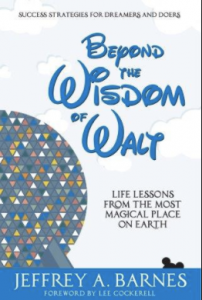 He’s got a follow-up book that’s coming out in just a few weeks, Beyond the Wisdom of Walt. Life Lessons from the Most Magical Place on Earth. A: First of all I made a commitment to be all in on the book. What I mean by that, Susan, I go back to Walt’s story. When he went bankrupt he had a really difficult decision to make. He could stay in Kansas City where it was safe and comfortable, where he still had friends and family around him. Or he could go to California and make a real go at his dream of being a successful animator. He made the decision to go all in on that dream. What that looked like for Walt was boarding a train with $40, a single suitcase, and a one-way ticket. He wasn’t going back, he was all in. And that’s the commitment I made to this book. It was going to be “all” or “nothing.” And, once I made that commitment, there was no turning back.